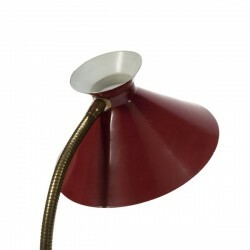 Nice large desk lamp from Italy. 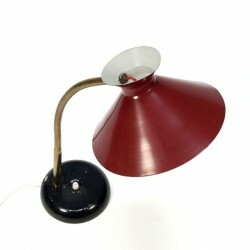 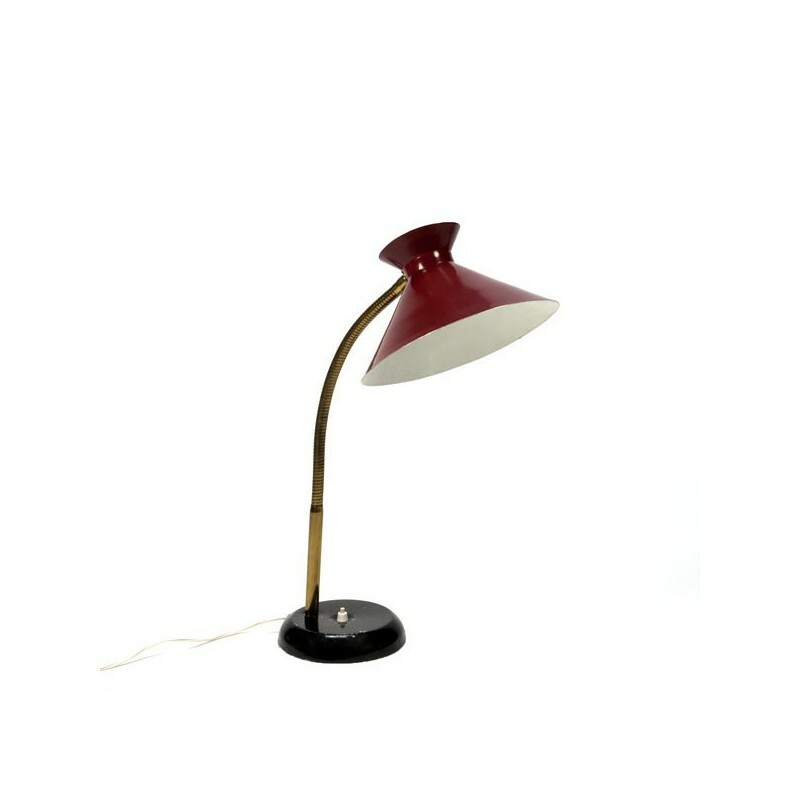 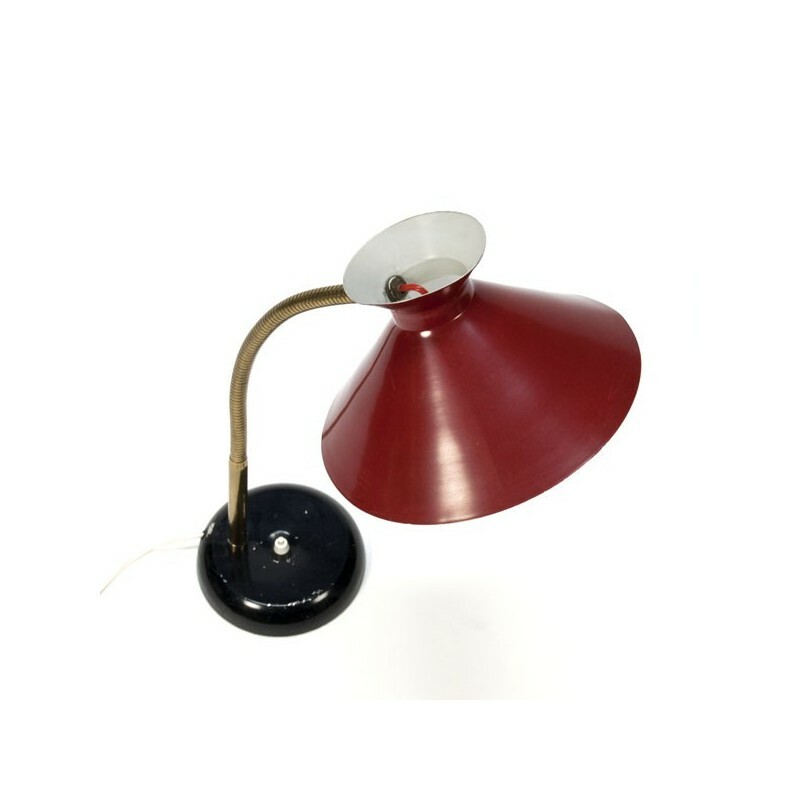 The lamp has a red cap, a black base and a flexible copper-colored arm. 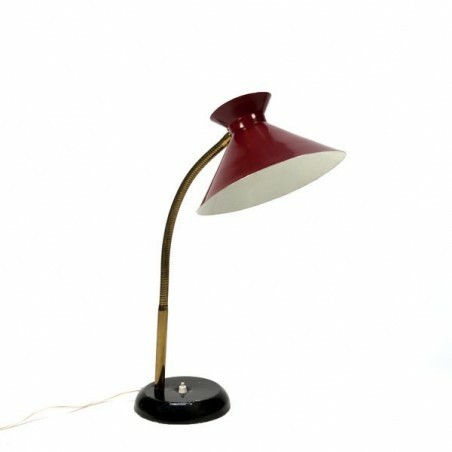 The condition is quite good, there are slight traces of use. 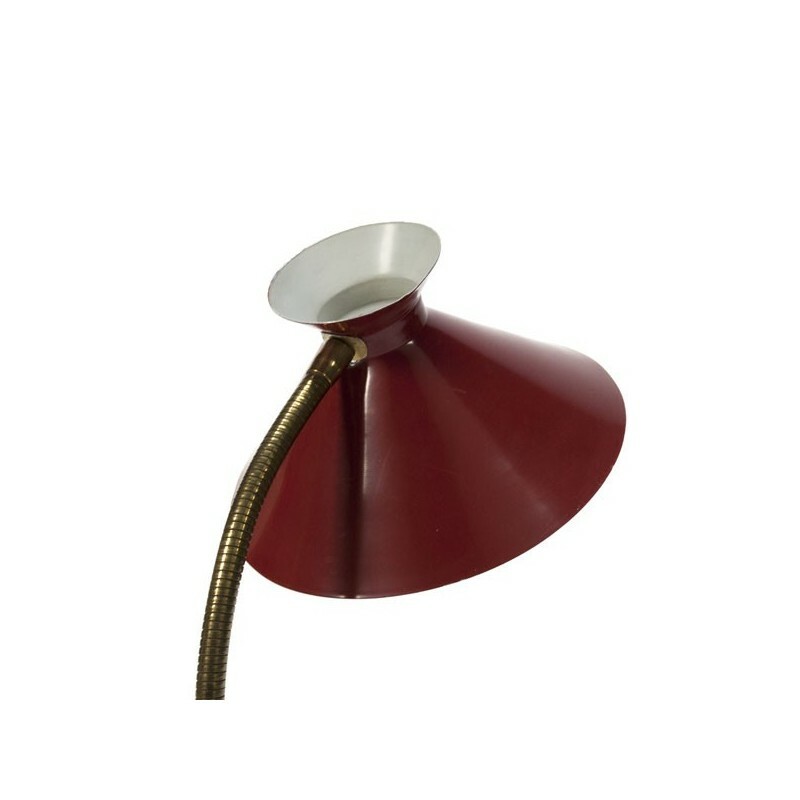 The dimension is 55 cm high, and the cap has a diameter of 25 cm.